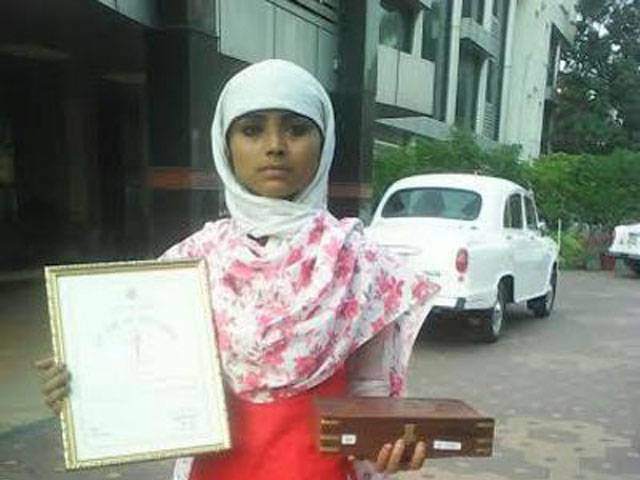 AGRA: 15-year-old Nazia was on Tuesday awarded the Rani Laxmibai bravery award by chief minister, Akhilesh Yadav, for saving a 6-year-old Hindu girl from kidnappers. It was the afternoon on August 7, when Nazia, a student of Saghir Fatima Mohammadia Girls Inter College, was returning home when she heard cries for help from a young girl, who was being forcibly pulled on a motorcycle by two youths. Unmindful of her own safety, Nazia rushed to the girl’s help and held her hand and managed to pull her away from the kidnappers, who then fled the spot. It was only after she had rescued the girl, Dimpy, Nazia learnt that she was her junior from school. Today, when tension prevails between the two communities, Dimpy’s parents treat Nazia as their own daughter and are indebted to her for saving their child from the clutches of the kidnappers. Kudos to you my child, Allah bless you with happy prosperous long peaceful life. Appreciation to all for bringing the incident to public view winning the Gallantry.